We offer both Summer-Fall and Winter-Spring Whole Farm Shares. 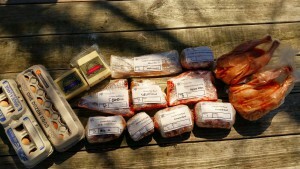 This is a combination of all our offered Farm Shares: Produce, Chicken, Meat, Eggs, and Cheese! 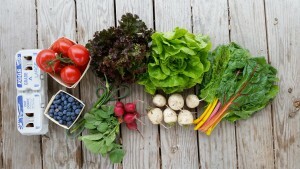 This is the diet we eat here on the farm, and we love it! We think you will too. Delicious, nutritious, and a good deal!